We specialize in holistic and conventional medicine to provide comprehensive, quality care for your pet's individual needs. We offer a wide variety of services for pets in Wappingers Falls & Surrounding Area. Services include preventative care programs, alternative therapy, radiology, surgical services, & more! Full Circle Veterinary Hospital is pleased to provide pet dentistry and dental X-ray for our patients! Home care services may be available to local patients and clients. Please call us for further details. Pet Emergency? 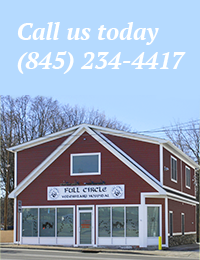 Call us right away at (845) 234-4417! We are a companion animal veterinary practice that specializes in the integration of holistic services and therapies, along with conventional treatments. We offer comprehensive wellness” and preventative plans for our patients, taking every aspect of their lives into consideration before making recommendations. A wide range of surgical and pet pet dental care” are also available, with the highest quality monitoring and equipment to ensure the health and well-being of our patients. 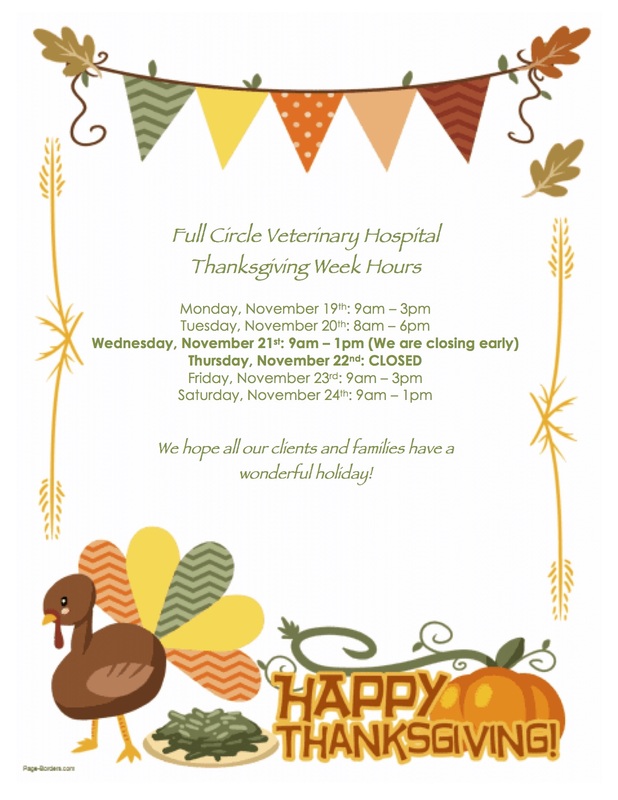 Stop in and become a part of our full circle of care for the furry members of your family! Order your pet's medications from the comfort of your home from our online pharmacy. When unexpected illness strikes a pet, unexpected expense strikes as well. See here if Care Credit can help you today. Full Circle offers a FREE first exam for all pets adopted at DCSPCA!!! "Although my baby girl, my 8 year old kitty Precious was not a patient for very long, Dr. Michelle & her staff made us feel like we were long time clients. The compassion & genuine caring was evident the moment I walked in to the building for the first time & carried through to when I had to make the difficult choice to put my sweet FIV kitty to sleep & when I walked in the last time to pick her remains up & bring her home. I will be forever grateful for their kindness & empathy." "Michelle is the best veterinarian in the world. My guinea pig was supposed to lose his eye due to an ulceration but his eye is completely normal again!! Thank you so much for all the hard work and love and care your provide to your clients, especially my puppy beagle Max and guinea pig Spartacus!!" "Brought Freddy, our 10 week old boxer puppy, for his first visit today. Never have I been so impressed with a veterinary office! Dr. Michelle literally got down on the floor and let Freddy slobber her face with puppy kisses. Our visit was supposed to be abbreviated due to scheduling issues, but she spent so much time with us and gave us so much advice and information. Everyone there was wonderful and so very sweet. I look forward to going back again!"